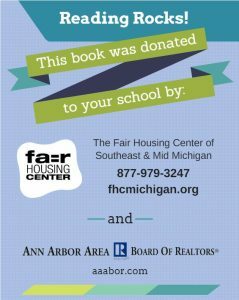 The Fair Housing Center of Southeast & Mid Michigan (FHC) was awarded a grant by the Ann Arbor Area Board of Realtors (AAABoR) for their Fair Housing Five Book Project. 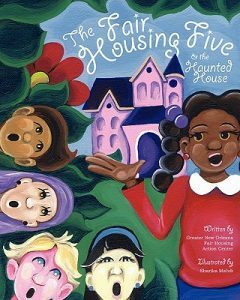 The Fair Housing Five & the Haunted House is an illustrated children’s book about kids who take action in their neighborhood in response to a landlord who is discriminating. The book is designed to initiate conversations between parents, caregivers, teachers and children about housing discrimination, systemic inequality, and the important role that we all have in ending both. The Fair Housing Five was developed by the Greater New Orleans Fair Housing Action Center and illustrated by Sharika Mahdi-Neville. 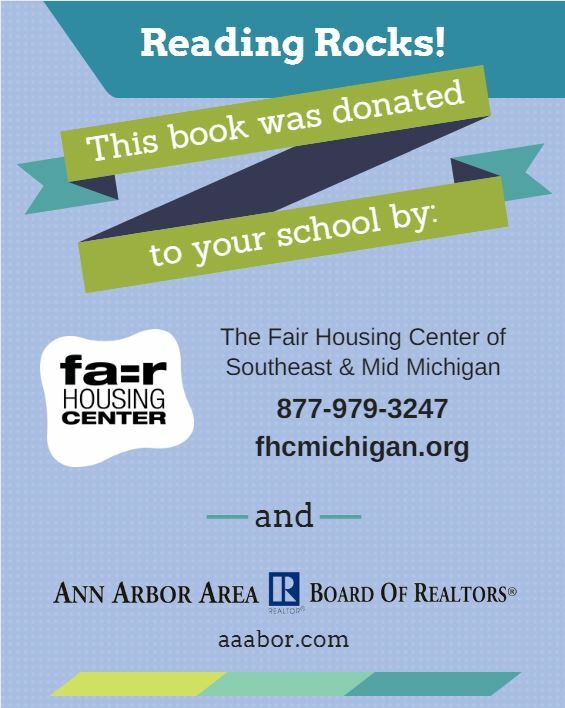 The grant money enables the Fair Housing Center to donate one hardcover book, along with child-friendly information and activities that can be used with existing curriculum, to every elementary school in Washtenaw County. Distributing the book is the first step in a larger plan by the Fair Housing Center to provide K-8 education about housing discrimination in their eight-county area. The nonprofit plans to seek additional funding for further education and outreach on this topic. Pictured: 1) Cover of the Fair Housing Five Book. 2) FHC / AAABoR Bookplate. 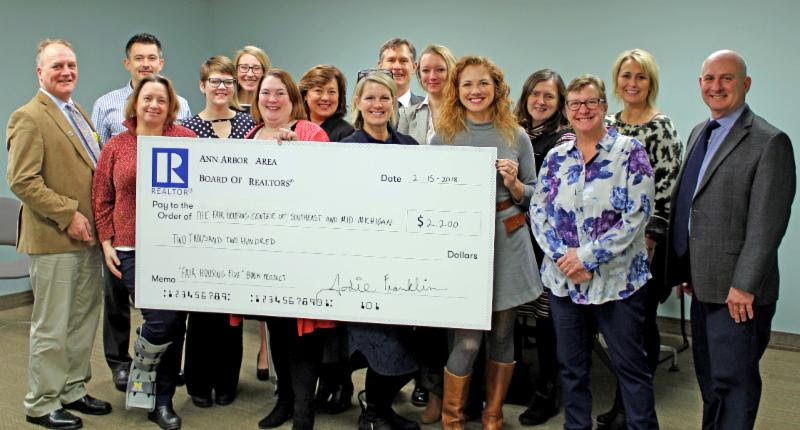 3) FHC Staff Kristen Cuhran Fuller with Ann Arbor Area Board of Realtors Community Involvement Committee, picture courtesy of the AAABoR. 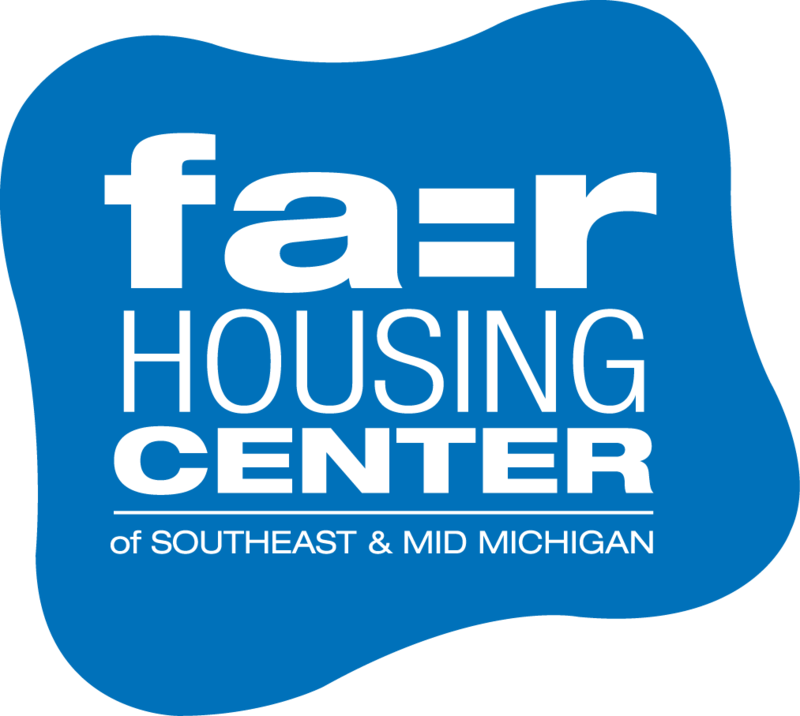 The Fair Housing Center of Southeast & Mid Michigan, founded in 1992, actively protects the civil rights of those who are discriminated against in the rental, sale, or financing of housing through investigation, education, advocacy, and legal action. The mission of the Fair Housing Center is to end discrimination in housing and public accommodations and to promote accessible, integrated communities. The FHC takes an average of 160 complaints each year from its eight-county service area – Clinton, Eaton, Ingham, Jackson, Lenawee, Livingston, Monroe, and Washtenaw counties. This entry was posted in About FHC, Press Releases and tagged Ann Arbor Area Board of Realtors, discrimination, Education, Fair Housing Act, Fair Housing Center of Southeast & Mid Michigan, FHAct50. Bookmark the permalink.